This Buttermilk Coffee Cake is full of sweet blueberries and tart plums. Go ahead and mix and suit your range of fruits according to what exactly is in season. Preheat range to 350 levels. Butter a 9-inch square pan. In a dish, mix topping components with a fork or pastry cutter until combined. Reserve. When it comes to cake, beat butter and sugar in a sizable mixing dish until fluffy. I really do this by hand; a mixer is very good. Add the egg and vanilla and beat in. In an independent dish, combine flour, cooking soft drink, cooking powder and sodium. Combine the dry components to the wet mixture alternately using buttermilk, stirring only until combined. Batter will be thick. 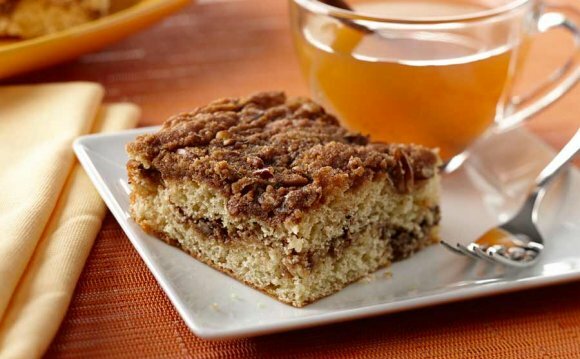 The coffee cake is good hot or cold. Cool on a rack for at the very least 20 mins before providing.